Heath Parade, Graham Park Way is a well known scam site. There is a lay-by which appears to be part of the the public highway but is not. There are signs but they are far too small to be read from a vehicle. The PCM UK parking attendant lurks nearby and when a car stops races out to get a photo. A PCN is issued even if the driver gets out, gets close enough to the sign to read it, realises no parking is allowed and immediately leaves. This scam is actively supported by William Hurley, John Davies of the IPC/Gladstones Solicitors and Bryn Holloway of the IAS, and Gladstones are now assisting PCM-UK in taking motorists to court. The Prankster suggests a defence on the following lines. The site appears to be a layby and part of the public highway and there is no information close enough to be read by an approaching driver to suggest it is private land or otherwise restricted. The parking warden “Mrs Sunglasses” lurks nearby continuously. When a vehicle enters the layby she approaches from the rear, takes a photograph and leaves without attempting to contact the driver. A parking charge is issued even if the driver gets out of the car, gets close enough to the sign to read it, then immediately departs. It is clear that the signs are so high and the writing so small it cannot be read from a vehicle or even by a pedestrian until right by the sign. Here is Ms Sunglasses standing underneath one of the signs. “Mrs Sunglasses” is on site so often she even appears on Google Streetview. It is clear then that this is nothing more than a scam. If the parking company genuinely wished to prevent parking “Mrs Sunglasses” could remain on site and politely ask drivers to leave immediately. They would also use large signs which can be seen from inside vehicles. 1. I was, at the relevant date, the registered keeper of the vehicle in question. On the material date, I stopped in the layby for a very brief period of time. I did not see any nearby signage prohibiting this. 2. I subsequently received a Notice to Keeper from the Claimant, alleging that a charge of £100 was due to them. I did not send an appeal to the Claimant. or a further appeal to the Independent Appeals Service (IAS), the allegedly independent body appointed by the Claimant’s trade body, the Independent Parking Committee (IPC). My research revealed that the IAS, far from being independent, is a subsidiary of the IPC, which in turn is owned and run by the same two Directors who also run Gladstones Solicitors, the individuals in question being John Davies, and William Hurley. Such an incestuous relationship is incapable of providing any fair means for motorists to challenge parking charges, as well as potentially breaching the SRA Code of Conduct. As such, the Claimant does not come to this matter with clean hands. 3. 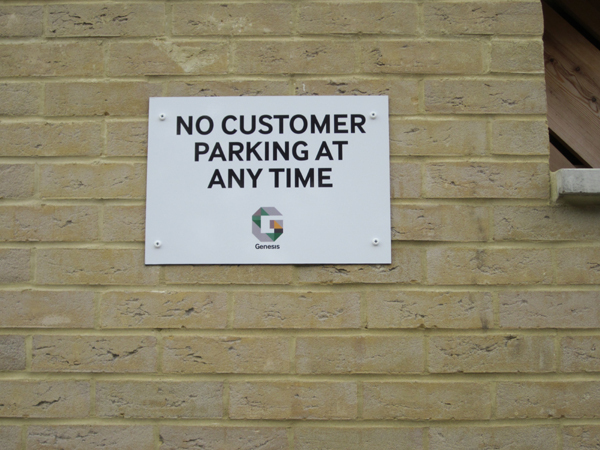 The Claimant’s signage with the largest font at this site states “No Customer Parking At Any Time”. A further sign with much smaller writing and higher up states “The loading bay is only for authorised vehicles actively loading & unloading when delivering to the commercial tenants of Heath parade”. It is submitted that if these notices are attempting to make a contractual offer, then as they are forbidding they do not fulfil the basic requirement of a contract, which is that each party to the contract must offer valuable consideration to the other party, on clear terms capable of acceptance. In this case neither the Claimant, nor their principal the landowner, is offering anything to motorists. The notices cannot, therefore, reasonably be construed as having created a contractual relationship between the Claimant and the Defendant. While this is a County Court decision and therefore not binding, it is on all fours with the present case and may be considered as persuasive. A full transcript of the Approved Judgment for the above case will be provided in the event that this case proceeds to a hearing. 5. In addition, the Consumer Rights Act 2015 rules that if signage has multiple interpretation the interpretation most favourable to the consumer applies. It is clear from this the signage with the largest font should apply. 6. In the alternative, if it was held that the signage was contractually valid, it would be impossible for a motorist to have read the terms and conditions contained therein from a moving or stopped vehicle, and if the vehicle is stopped, the ‘contravention’ according to the Claimant is already committed. 8. The IPC code of conduct states that a grace period must be allowed in order that a driver might spot signage, go up to it, read it and then decide whether to accept the terms or not. A reasonable grace period in any car park would be from 5-15 minutes from the period of stopping. This grace period was not observed and therefore the operator is in breach of the industry code of practice. Additionally no contract can be in place by conduct until a reasonable period elapses. 9. Thus the signage is simply a device to entrap motorists into a situation whereby the Claimant sends them invoices for unwarranted and unjustified charges, for which motorists can have no contractual liability due to the terms and conditions not having been sufficiently brought to their attention. This activity is bordering on, if not actually crossing the boundary of, a criminal offence of Fraud By False Representation. Additionally, the contract fails informational requirements for contracts established in the Consumer Contracts (Information, Cancellation And Additional Charges) Regulations 2013, enacted 13 June 2014. Any alleged contract would be a distance contract for services as defined in The Consumer Contracts (Information, Cancellation and Additional Charges) Regulations 2013. The regulations define three types of contracts; distance contracts, on premises contract and off-premises contracts. The definitions concern themselves with how a contract is concluded (and in particular if face to face contact occurs during this process) and not where the contract is eventually performed. Thus, if a consumer books a hair styling appointment over the web, that is a distance contract even though they go to the salon for the actual styling. If they re-book at the salon, that will be an on-premises contract. If they meet their stylist in Tesco, arrange for an appointment and immediately phone the salon to confirm, that will be an off-premises contract. All these contracts are performed on-premises, but concluded in different ways. Thus a contract cannot be on-premises if it is a distance contract. • The contract is clearly concluded without the simultaneous physical presence of the trader and the consumer. • There is clearly the exclusive use of one means of distance communication (signage) up to and including the time at which the contract is concluded. This is therefore a distance contract. None of the exemptions in regulation (6) apply. No vending machine or automated premises was used to conclude the contract. Any contract would be concluded by parking and walking away. Regulation 13 lists information to be provided before making a distance contract. The contract fails to provide the required information listed in Schedule 2. As per 13(1) the contract is therefore not binding. Alternatively if the contract is on or off-premises, the information rules still apply and the contract is not binding as per either 9(1) or 10(1). Additionally, the charge of £100 is a penalty and unfair consumer charge. The leading case on this matter is ParkingEye v Beavis  UKSC 67. 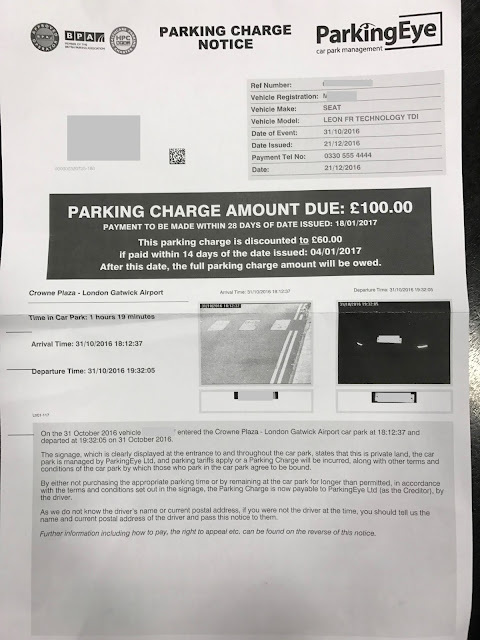 In that case it was ruled that the penalties rule was engaged but the charge was not unfair because the motorist had the bargain of 2 hours of valuable free parking in exchange for the risk of paying £100 for overstaying. The risk was clearly brought to the attention of the consumer in a huge font. Here, there is no valuable consideration on offer and no bargain for the consumer, and the charge is hidden in small print. 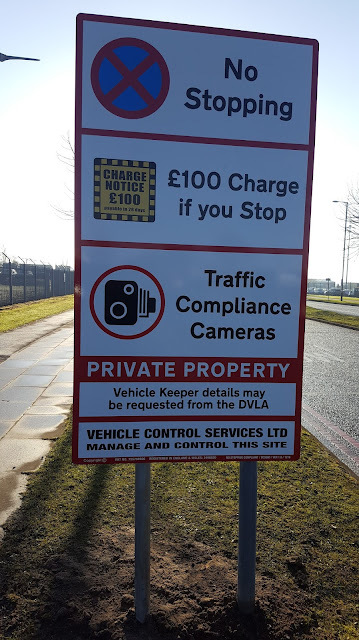 It is submitted that no motorist would agree to pay £100 instantly on stopping and this is therefore and unfair consumer term in breach of the Consumer Rights Act 2015..
1 In order to issue parking charges, and to pursue unpaid charges via litigation, the Claimant is required to have the written authority of the landowner, on whose behalf they are acting as an agent, in this case Peel Land & Property Ltd. No evidence of such authority was supplied by the Claimant at any time, and the Claimant is put to strict proof of same, in the form of an unredacted and contemporaneous contract, or chain of authority, from the landowner to the Claimant. 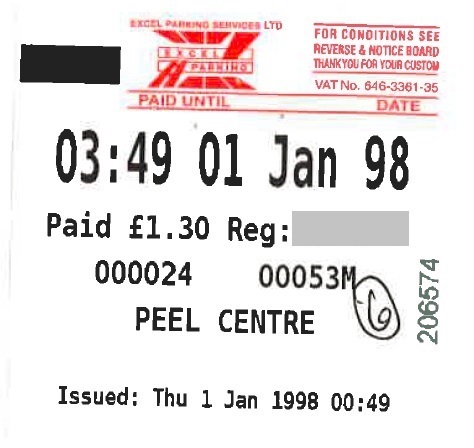 1 In addition to the £100 ‘parking charge’, for which liability is denied, the Claimant’s legal representatives, Gladstones Solicitors, have artificially inflated the value of the Claim by adding costs of £50 which I submit have not actually been incurred by the Claimant, and which are artificially invented figures in an attempt to circumvent the Small Claims costs rules using double recovery. The Court is invited to report Gladstones Solicitors to the Solicitors’ Regulation Authority for this deliberate attempt to mislead the Court, in contravention of their Code of Conduct. 1 The Court is invited to dismiss this Claim, and to allow such Defendant’s costs as are permissible under Civil Procedure Rule 27.14. The signage is forbidding and makes no offer to the motorist. There can therefore be no contract. Even if there were a binding contract the charge would be a penalty and unfair consumer term as it is not a genuine pre-estimate of loss and is not saved by the case law in ParkingEye v Beavis. There was therefore no valid reason to apply for my keeper data from the DVLA. Additionally the operator contract with the DVLA only allows them to obtain data for parking contraventions and not for briefly stopping. My name and address information (together with other information) is classified as personal data within the meaning of s1(1) of the Data Protections Act (DPA). You are misusing this data by attempting to claim a charge is do when there is no possibility a lawful reason exists. Additionally you may only obtain and use this data from the DVLA for parking, and not for stopping. This is therefore a breach of data principle 1 (data must be used lawfully) and 2 (data must only be used for the purpose provided). The case of VCS v Phillip, claim number C9DP2D6C Liverpool 07/12/2016, while not binding, concerns a motorist sent a parking charge for briefly stopping at Liverpool Business Park. The signage there has the equivalent forbidding wording to the signage in this case. The judge ruled that no contract could exist and therefore data had been wrongly obtained from the DVLA. This is therefore a persuasive case that a DPA breach occurs when a parking charge is not legitimately pursued, and that a sum of at least £250 is compensation for pursuing a purported parking charge when there is no reasonable prospect of success. Pepipoo have reported that new signs are in place at John Lennon Airport. 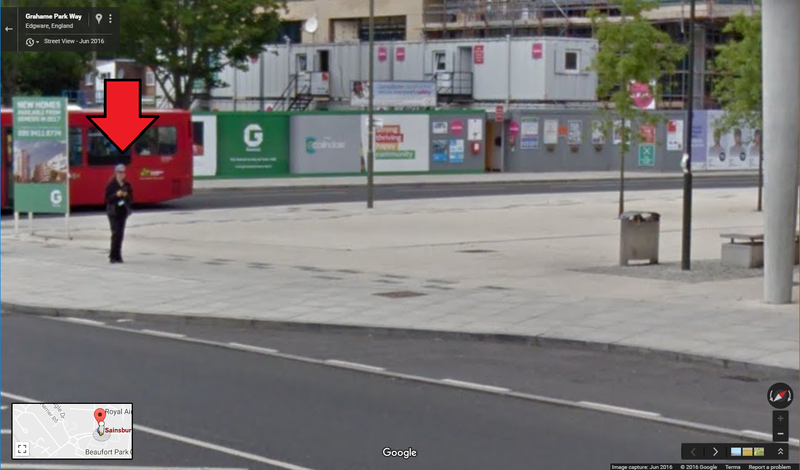 The new signs do not appear to have planning permission for advertisement consent and it does not appear any planning application has been filed. It is not clear where the new signs are sited so The Prankster would be interested if anyone can supply any or all of the following information along with supporting photographs. 1) How far the signs are sited from junctions. The new signs are forbidding and so cannot form a contract. Any action the airport take would therefore have to be based in trespass. For comparison, the previous signs were blogged about here. Although most hospital parking is free in Wales, it is not at Heath hospital Cardiff, where the management unwisely sold off the car parks to Indigo Park Services Ltd.
Indigo have now started cashing in on this, making staff life a misery by failing to issue permits in a timely manner, and then penalising vehicles for not displaying a permit. Wardens use a predatory patrol schedule to maximise the charges they can issue. Ticketing continues up until 3 am, and it also appears Indigo staff go out to ticket after a nursing staff handover has occurred each and every day. Some tickets have even been issued when the registered keeper was not on shift, and some vehicles have been issued 2 tickets per day. Indigo are also abusing the DVLA link by getting keeper data for free via the NHS and Local Authority link, rather than paying the normal parking company charge of £2.50. The charge for not displaying a permit is £10, rising to £20 after 14 days. However, Indigo then shuttle the charge around debt collection companies to artificially inflate the cost to £128. Since April 2016 over 1,000 tickets have been issued to staff, with over 100 of these having already gone to court. Although it is possible a charge of £20 may be valid, the artificial inflation is £128 is not. 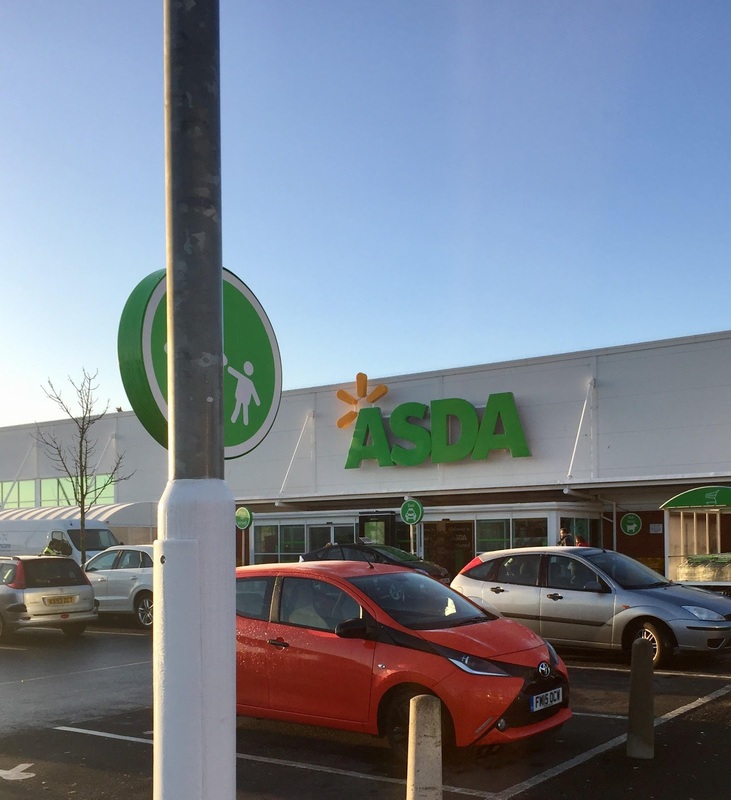 In ParkingEye v Somerfield Stores HHJ Hegarty QC ruled that a debt collection addition of £75 was probably not valid and in ParkingEye v Beavis it was ruled that charges must be plainly in sight to escape being an unfair consumer charge. POFA 2012 sc 4 also rules that the keeper can only be pursued for the charge on the notice to keeper, and not for additional charges. 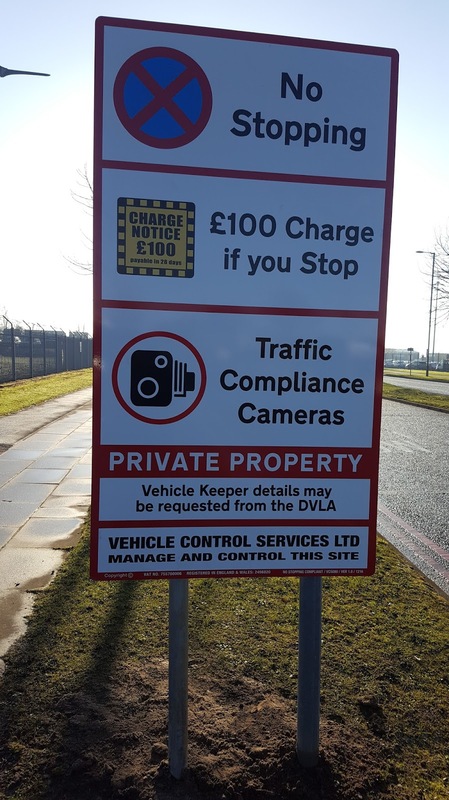 An attempt to use keeper data for charges which are not valid is therefore possibly a breach of data principles 1 and 2, which would leave the parking company liable for a data protection claim. This may be compounded if Indigo did not use the correct method to get data from the DVLA. The case of VCS v Phillip, claim number C9DP2D6C Liverpool 07/12/2016, while not binding, concerns a motorist awarded 3250 wen the parking company pursued a charge which was not valid. This is therefore a persuasive case that a DPA breach occurs when a parking charge is not legitimately pursued, and that a sum of at least £250 is compensation for pursuing a purported parking charge when there is no reasonable prospect of success. It appears that Cardiff court is going to be clogged up with parking cases for the foreseeable future. The Prankster previously reported that the ParkingEye signs were covered up at ASDA Fleetwood. As today's photograph shows, the signs have now all gone. 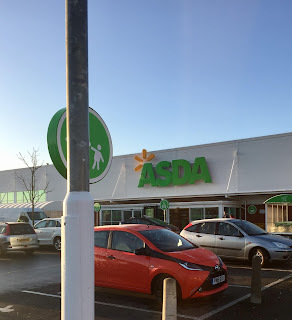 ParkingEye and ASDA did not have advertising consent to display the signs. A motorist received a parking charge incurred while shopping at their local ALDI. Here is their report. Thank you for your recent email containing the proof of purchase from your visit to our Blaby store. On this basis, I am happy to contact ParkingEye and get this charge cancelled. 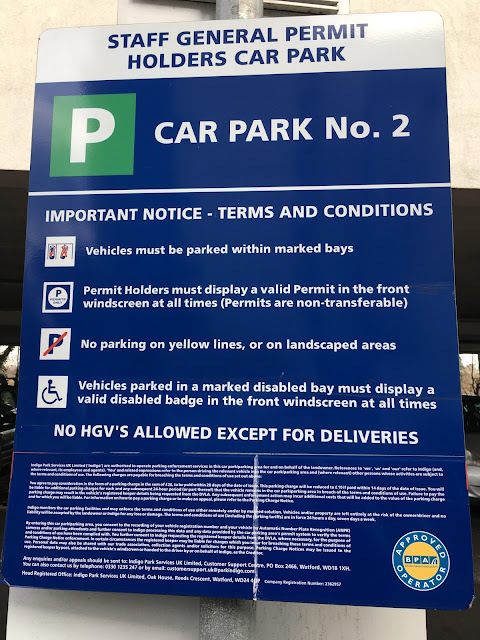 As you are now aware, ParkingEye manages this car park using Automatic Number Plate Recognition (ANPR) cameras that monitor cars entering and leaving the car park. It also operates a terminal in store allowing customers to enter their vehicle registration. This system is in place to ensure free parking for our customers. I hope that this satisfactorily resolves this matter for you. We value your custom and hope that you will continue to shop with us. An unhappy customer is a potential ex-customer. 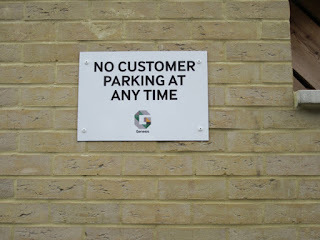 It makes no sense for ALDI to penalise their customers for parking, so it is s sensible decision to cancel the charge. The Prankster recommends that genuine ALDI customers contact ALDI customer service if their charge is not cancelled by ParkingEye. Parking companies have for some time been exploiting the legal system by issuing claims to wrong addresses. This results in innocent motorists getting CCJs they know nothing about, which can mean they lose their house and job through no fault of their own. Predatory companies like Gladstones Solicitors, BW Legal, Wright Hassall, MIL Collections and SCS issue claims without doing any due diligence which means that the vast majority of cases have no validity - in ParkingEye v Beavis it was revealed ParkingEye cancel 65% of charges on appeal, and POPLA cancel a further 45%. This means that something over 80% of all parking charges are issued invalidly. This number is increasing - in 2012 ParkingEye cancelled only 55% of charges on appeal. The roboclaim industry specialises in churning out these claims and adding on spurious extra charges in the full knowledge that although most of the claims have no basis, a large number of people will either be frightened into paying up, or will fail to get the claim papers and so end up with a CCJ without knowing about it. If claims are defended they deliberately ignore practice directions and conduct themselves in a shameful manner knowing that judges in the small claims court rarely issue sanctions. This cynical exploitation of the legal system should not continue. Today the Government announced it was taking steps to end this predatory situation. The press release,entitled 'New measures to protect consumers from debt claims' is available here. Round table events with consumer groups and advice organisations to gauge early views will take place in the new year before the consultation goes live. No doubt the many people with ParkingEye CCJs who have already reported these to casehub will be keeping a keen eye on the situation. Excel v Mr B C7DP8F83 at Sheffield 14/12/2016. Mr B was not the driver. Excel do not use the keeper liability provisions of the Protection of Freedoms Act 2012, and so attempt to rely on the assumption the keeper was the driver. Mr Wilkie was the lay representative for Mr B.
Excel, through BW Legal, used an outside representative. As the Keeper was not the driver, he elected to offer no evidence, and put the claimant to strict proof. This of course was an impossibility for Excel. As Mr B was not the driver, there would be no way they could offer any proof. The Judge made it clear that without proof of driver, and without invoking Keeper Liability, there was no claim against the Keeper. 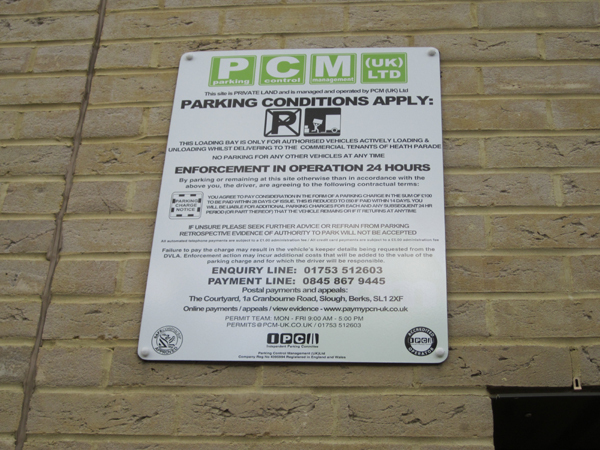 UKPC were claiming £900 for 6 unpaid parking tickets on a residential site. Mr McCarthy was counter-claiming harassment for 40 or so wrongly issued tickets. UKPC were using SCS law to process their claim. I met Mr Taylor, the representative of SCS, at the door of the courts and after a brief chat I found him to be a nice enough man and who told me he represents SCS and UKPC on numerous occasions as a freelance solicitor in various regions of the country. We entered the court and the judge explained to me how the proceedings would go (as I wasn't legally trained) and that I would hear UKPC's arguments first and then would be allowed to give my account. Mr Taylor of SCS pitched his claim first. 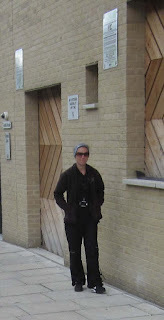 The witness statement given by UKPC had stated that they had a copy of my lease, but they had in fact attached a copy of another apartment block (not connected) altogether. However they had spotted this and at the court brought a copy of my lease (handed to them by the managing agent) and stated it was an error in submittal. The judge allowed them to submit this. The lease stated that "I would not park in an obstructive location in the communal areas". I did object to my lease being handed in on the day as I had no time to cross-reference or check if it was my lease at all but the judge stated that we could do one of two things; first being proceed on the assumption it is my lease or stop proceedings and obtain my lease from the land registry. I chose to let them proceed. Mr Taylor stated that they had been employed by my managing agent to manage the site and that there was a legitimate interest for doing so referencing the Beavis case. There were 6 tickets in total being claimed referenced a-f with two issued before the DVLA investigation of UKPC and 4 after. Mr Taylor went on to state that each ticket was issued and then when not paid passed on to debt recovery companies etc to bring the claim up to circa £900. My opportunity came to speak. I referenced my witness statement and the points raised in the statement. My first point was that the contract UKPC were operating under was dated 2012 for a period of 3 months. However the judge ruled that the contract carried on by conduct and as UKPC were still on site the contract was deemed to be in place. My next point was that the contract stated that it was on the basis that UKPC operated within the rules of the BPA and that they had not been. I touched on the signage being unilluminated and there not being a P sign at the front of the premises which has now been put in place. I had attached a copy of the British Parking Association t&c's and code of practice to my statement but did not bring a copy to the court and did not make my point clearly enough on this. The judge did have a copy but failed to review and in haste I did not prompt her to. My next point was that the signage was strictly prohibitive and that it did not allow parking and as there was no offer to park beavis did not apply. With the managing agent sending my lease over I don't think this argument stood. I also stated that I was not the driver that my brother and wife both used my car. I stated that UKPC had not followed the rules of schedule 4 of the Protection of Freedoms Act as the tickets and notice to keeper did not have the time periods stipulated on them nor did they show any grace periods. Again unfortunately I did not have schedule 4 with me as I naively assumed that the judge would have had this information. Perhaps I should have asked to stay proceedings until I had the information printed as she had offered to do with my lease. In judgement the judge stated that it was most unfortunate I did not have this with me to rely upon. My main point was the reference to the mail online article I had included in my witness statement regarding the practice of UKPC doctoring tickets. I argued that during the period they had been suspended by the DVLA their equipment was obviously not adequate and open to fraudulent activity. In her judgement she agreed. UKPC's witness statement said that this was an isolated incident in one region of the country however the judge stated that they had failed to say what region of the country (perhaps cunningly) and that it could have been Watford. For this reason the judge dismissed the first two tickets in UKPC's claim as they were issued in 2014 and early 2015. I argued that UKPC were still doing this as my car was never parked in the location during the time periods they were saying it was and said in court I am fully stating that UKPC are still doctoring tickets. I made no exception and stated that was exactly what I was saying. Mr Taylor of SCS stated that it was highly unlikely that a company already found guilty of doctoring tickets would continue to do so and the judge in her statement agreed on this point as she had no evidence to show that they were still carrying this out. I raised the point that I was counterclaiming for harassment and that although we were discussing 6 tickets issued that I had in fact received between 30 to 40 tickets and I had attached numerous emails I had complaining to my management company that the tickets were issued out of the time scales and days that the scheme was not in operation. On a few occasions the managing agent had replied apologising and stating that they had brought up the issue with UKPC. Mr Taylor in his statement said he did not want to even touch on my harassment claim as he believed it fell "so foul of outlining harassment under the act". The judge however in her statement stated that she believed I was a credible and truthful witness and that I had been clearly upfront about everything from the start and during cross examination. She stated that with the 30/40 tickets I would have received chasing letters and debt recovery letters. That UKPC would have obtained my details from the DVLA incorrectly and for that I would have felt distressed and alarmed by this. I was claiming £1000 but did not reference a precedent to this which she felt was unfortunate. However she said in the absence of this that she found in my favour for the exact amount of the four tickets she had found in favour of UKPC tickets (£580) with us both having to pay each others costs. Having seen a copy of my lease the judge found in favour of UKPC on four of the parking tickets. She stated that it was most unfortunate that I did not have the POFA sch4 and BPA guidance with me. Both parties asked for leave to appeal, which was refused. This was an extremely creditable performance by Mr McCarthy up against an experienced advocate. If this hearing could be held again, it is likely Mr McCarty would succeed in getting all the charges cancelled. Sadly, time travel is not yet possible. The case underlines the need to bring copies of everything to court with you. This is why lawyers always trundle around with huge suitcases - they are full of paper relating to their cases. Bring a copy for yourself and a copy for the judge. You should have already sent the other party a copy. Although it shouldn’t be necessary to print out statutory legislation - judges all have terminals on the desk linked to the MoJ portal where they can easily look up statutes - this case shows you cannot rely on the judge putting in the legwork. The judge correctly pointed out that the DVLA was accessed incorrectly. This would be a breach of data protection regulations, and for each breach an amount would be payable. The case of VCS v Phillip, claim number C9DP2D6C Liverpool 07/12/2016, while not binding, concerns a motorist awarded £250 when the DVLA details were accessed with no cause. A sum of £250 per breach would therefore seem to be in order. Mr McCarthy can now consider claiming £250 for any tickets where UKPC accessed the DVLA incorrectly. This would be for a data protection breach, separate to the harassment claim. As there are 30-40 of these tickets, a claim of £7500 - £10,000 would be in order, and Mr McCarthy may want to get legal advice before embarking on this. Of course, any new tickets invalidly issued by the parking company can also be added to the claim. Case no. C8DP56P8, Excel v Mr C & Mrs C, Skipton County Court, 19/12/2016, before District Judge Wright. Exactly a year ago, Mrs C had visited the Sports Direct gym in Keighley, where she is a member. The system there is that members key their registration numbers into a terminal which is linked to Excel’s systems, and that entitles them to 2 hours free parking. The vehicle was in the car park for a total of 92 minutes. A few days later, Mr C, who is the registered keeper, received a £100 parking charge notice from Excel. Mrs C immediately contacted Excel, confirming that she had been the driver, and attaching a print-out from the gym to verify the fact and length of her visit. But Mr C received further correspondence from Excel, which showed that they had completely ignored the fact that the driver had been named, and they were continuing to pursue him as keeper. He declined to engage with the IAS, having an aversion to marsupials. Eventually, BW Legal issued a claim on behalf of Excel, and the case was listed for 4 October. BW Legal sent the usual complete and utter nonsense of a witness statement, signed by some part-qualified non-entity who clearly knew diddly squat about the case, or anything else for that matter. Bargepole prepared all the court documents on behalf of the defendant. These included statements from other gym customers who had experienced similar unfounded claims, and a statement from the gym manager that the system installed by Excel was not fit for purpose, since it did not provide any receipt, or any form of confirmation that the entry of the registration number had been accepted. At the first hearing, the Judge agreed that there could be no case against Mr C, but that Excel could apply to have Mrs C to be conjoined as second defendant if they wished. They made the application, and Mrs C filed her own witness statement confirming the events as previously described. The adjourned hearing was over in a matter of minutes, as nobody from Excel or BW Legal showed up. DJ Wright agreed that this crossed the threshold of unreasonable behaviour, and awarded the defendants’ ordinary costs, plus further costs as per CPR 27.14(2)(g), meaning that Excel were hit for £412 in total. The behaviour of Excel, and their joke solicitors, has been utterly disgraceful throughout this entire saga, and there may be further repercussions still to come. BW Legal CEO Sean Barton claims to be a solicitor but his team seem to fail to understand the basics of litigation, including how to obey practice directions when filing particulars of claim or signing a claim. Sean Barton's team file template witness statements with incorrect facts and with matters clearly not in the knowledge of the witness. His understanding of the legal situation around parking is deeply flawed and the advocates Sean Barton uses are poorly briefed. His team send out letters deliberately misrepresenting the situation and provide false information to try and bully motorists into paying charges they do not owe. On the phone, Sean Barton's operatives lie and provide false information. 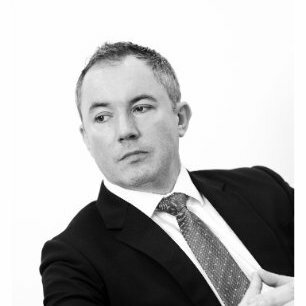 Sean Barton advises his clients to file claims they have no hope of winning if properly defended apparently in the hope that the victim does not realise the true legal position and so pay up rather than defending the claim. His operatives are so incompetent they expose their clients to large counterclaims and to extra costs under the unreasonableness rule. 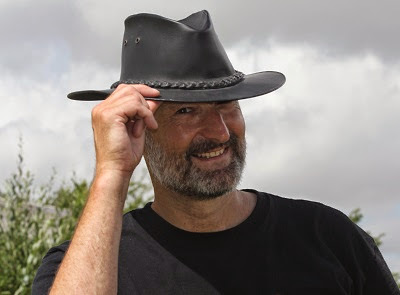 Sean Barton therefore appears to the Prankster to be a particularly incompetent solicitor, who is bringing the legal profession into disrepute and it is poor reflection on the legal regulators that they allow such people to continue in practice. 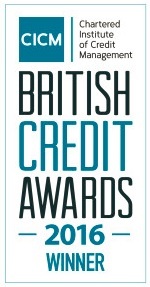 It is an even worse reflection on the legal regulators that there are apparently many more incompetent people than Sean Barton people in the credit industry, as the 2016 award clearly show. **This does not include the other incompetent no-hopers Gladstones Solicitors as they were not in the running for the award. He phoned to dispute the charge, but NPE were rude and dismissive on the phone. He wrote to appeal the charge but his appeal was refused. Northwest Parking Enforcement Ltd then sold the right to sue for the disputed charge to MIL Collections. In the hearing Mr Brass argued there is no clear separation between the two car parks, which there isn't. The judge agreed and dismissed the claim, awarding Mr Brass his costs. Mr Brass posted on facebook to warn other drivers about the situation. It is clear that no parking charge should have been issued in this case, and this was a valid reason to contest the hearing. A more fundamental reason is that the alleged debt was never assigned to MIL Collections in the first place. When MIL are confronted with this line of defence they now do not even usually bother to turn up for hearings (although they do try the odd one here or there). MIL claim they purchased the alleged debt from NPE on 20/05/2016 and produced an undated deed of assignment to 'prove' this. The deed was not witnessed properly and did not contain any details of Mr Brass's charge (or indeed any charge). A big problem is that exactly the same undated deed of assignment was used to 'prove' they purchased an alleged debt from Mr N. M. on 07/04/2016. It is clear from this wording that the same deed cannot be used to support purchases of alleged debts on different occasions. It would therefore appear on the face of it that MIL are committing perjury when they claim in court that debts have been validly assigned because the debt are being purchased at various intervals after the deed has actually been signed, and not at the time of signing the deed itself. It is therefore worth considering filing a claim against NPE if they have sold your data to MIL. A claim of £250 would cost £25 to file. It is also worth considering a similar claim against MIL. As the deed of assignment is not valid, they are also using personal data improperly, and a claim of £250 would appear to be justified. My name and address information (together with other information) is classified as personal data within the meaning of s1(1) of the Data Protections Act (DPA). You obtained this data from the DVLA and your contract with them only allows you to sell this data to third parties if you have the DVLAs written permission. You did not have this permission. This is therefore misuse of my my personal data. In this particular case I estimate £250 would be a reasonable amount to claim. Please therefore remit the sum of £250 sum to myself 14 days. I will accept this sum in full and final compensation for the matter. I reserve the right to take legal action without further notice if this amount is not paid. I am willing to use alternative dispute resolution to attempt to settle this dispute and suggest the Consumer Ombudsman is a suitable body. 16/12/2016 Peterborough County Court, Deputy District Judge Gill presiding. In August 2014 Mr N M's vehicle overstayed by a few minutes in Central Car Park, Peter Street, Carlisle, a pay & display car park owned/run by Northwest Parking Enforcement Ltd. The vehicle was given a PCN detailing a 'charge' of £100 reduced to £60 if paid within 28 days. NPE sent a notice to keeper and few threatening letters from themselves and a debt collection agency. Fast forward to April 2016 when MIL Collections become involved having allegedly purchased the 'debt' from Northwest Parking Enforcement Ltd.
On 7th July 2016 MIL Collections issued a claim form from the bulk claims centre Northampton in the amount of £150 comprising 'Debt' amount £100 with £50 'Admin' costs. The claim form was 'signed' by Alan Davis, Managing Directory. I acknowledged the claim and stated my intention to defend. On 21st July I sent MIL a CPR Part 18 request for further information, specifically asking for confirmation that they held the original deed of assignment and when/where it could be inspected. No response to this request was received despite 2 written reminders and several emails. An initial defence was lodged, the main points being no valid assignment of debt (no response to CPR request received) and any such assignment being Champertous. MIL requested transfer of the case to Truro however it was assigned to Peterborough County Courts, my nearest, and also allocated to the Small Claims track for a hearing date of Friday 16th December. MIL went through their standard MO, namely a Part 36 offer of £100 followed by an open offer of settlement of £50. Both were ignored. I responded to the Part 36 offer pointing out that Part 36 does not apply of course to the Small Claims track. Bear in mind at this time, I had already filed my witness statement and defence. My defence was only slightly amended from the original holding defence – I just added the extra times I had written and emailed MIL collections regarding the CPR Part 18 request. The Deed Of Assignment was not dated or witnessed. It did not make any reference to me in person or any reference to the original PCN, nor the 'debt' amount assigned. 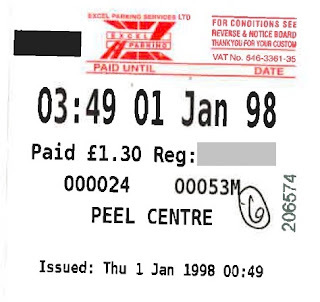 The photocopies were of very poor quality and were ineligible - in particular the expired ticket. The Terms and Conditions photocopy did not show the site location. On the court date I was approached by a representative MIL collections had sent and asked if I wanted to discuss the case i.e. make a settlement offer. I offered £25 which she declined. Neither Alan Davis nor Christopher Barrett showed up, not surprisingly. The Judge began proceedings – she stated she had some questions for both MIL and myself but asked MIL to state their claim. In essence, the representative tried to claim there was a case to answer based on a contract having been formed and broken and there being a valid assignment of debt. When I was asked to speak I emphasised MILs lack of compliance with my CPR request and my defence being based on no valid assignment of debt and therefore the claim being champertous. I also pointed out the issues with the Court bundle. The Judge had also picked up on the deed of assignment namely that it was not witnessed, nor dated. She pointed out that my CPR Part 18 request was not applicable to small claims however she stated that nevertheless, MIL had a duty to abide by CPR and respond to my perfectly reasonable requests for the documentation stated in their claim in order that I may defend. She said it was particularly galling that the Court Bundle contained a timeline where my requests and reminders for information had been recorded as well as the original request itself. She also picked up on the poor quality of the photocopies. The representative said she agreed and offered to show her better quality ones that Christopher Barrett had texted her that morning but the Judge was having none of it. She also asked for a breakdown of MILs £50 admin charges which the representative was unable to answer. She also questioned the representative on the location and size of the (T&Cs) signage which was not clear from the Bundle. The representative was unable to answer. In summary she threw out the case based on the deed of assignment not being valid. She said there was no need to consider the Champertous argument given this. She also slated MIL for their behaviour regarding CPR and their holes in the Court Bundle. I asked for my costs to be considered namely loss of earnings, travel and admin expenses. She denied the admin but allowed £95 loss of earnings and £10 petrol i.e. £105 in total. MIL Collections get the parking company to sign an undated 'Deed of Assignment' which does not have any references to parking charges, amounts and keeper names. They then at a series of later dates actually purchase the right to take legal action for disputed charges. During court claims they trot out the undated 'Deed of Assignment' and pretend it was signed at the same time as they purchased the right to sue. DDJ Gill rumbled the scam and threw out the claim. Link Parking entered into an agreement with Isis Cardiff Management Company Limited to control unauthorised parking at Overstone Court, Cardiff. Unfortunately they decided it was in their remit to control authorised parking as well, and according to details given to the Prankster went into a feeding frenzy from day one, issuing tickets to residents like confetti. This type of ticketing has never been legally supported and there is plenty of case law around to support the view that the lease has primacy of contract, and that this cannot be unilaterally overridden. So if your lease allows you to park without conditions, then a parking company cannot require you to display a permit to park. 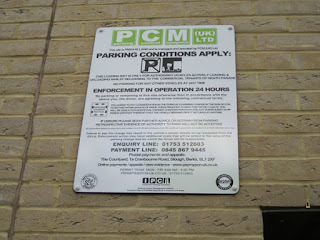 This parking space does not fall within the common parts of the property; it is the property of Mrs Parkinson, and on that basis I cannot see how the management company can interfere with her enjoyment of it, or charge her for its usage via a parking penalty or otherwise. It seems to me that to do so would have required a variation of the original lease and I have not seen such a variation. His full judgment, courtesy of Ms Parkinson, is available on the Prankster's web site. This is a persuasive judgment supporting the view that all tickets issued by Link to residents parking in their own spaces are not valid. If you have been issued a parking charge, and Link got your data from the DVLA, then it is likely they committed a data protection breach by obtaining keeper data for land where they had no rights to issue tickets. The case of VCS v Phillip establishes that £250 is an amount which court will award. This is a minimum. Courts have awarded up to £750. If you have paid a parking charge then you can attempt to get your money back from Link. If you have been taken to court and lost because you did not use the right legal arguments, then it might be too late to appeal the judgment - you usually only have 21 days, and you might not be able to introduce new arguments anyway - the appeal will normally only be allowed on points raised in the initial hearing. However, the data protection breach still applies, so you may be able to 'balance the books' by claiming for the data protection breach. If you are still in time, and raised the point that you were a resident then you may be able to appeal. With all of these issues you should follow the correct legal procedures. First issue a letter before claim, and then if there is no reply, or you cannot come to an agreement, follow up with an actual claim. If the amount is large, or if you do not fully understand this, you should get legal advice on the course of action to take. These charges may or may not be valid, and would need an examination of the all facts. In 2016 you issued me with a number of parking charges for parking in my own space without displaying a ticket. My existing lease gave me full permission to park, and you had no rights to unilaterally override that. There is a large body of case law which establishes this. In Saeed v Plustrade Ltd  EWCA Civ 2011 it was found the managing agent could not reduce the amount of parking spaces available to residents. There are a number of persuasive judgments in the lower courts. In Jopson v Homeguard  B9GF0A9E, on appeal it was found that the parking company could not override the tenant's right to temporarily stop near the building entrance for loading/unloading. In Pace v Mr N  C6GF14F0  it was found that the parking company could not override the tenant's right to park by requiring a permit to park. In Pace v Mr N  C7GF51J1, PACE came back again, this time claiming that clause 6.3 of the lease allowed the terms of the lease to be varied. The judge rules that this clause required a month's notice to be given, and as this had not occurred, the point was moot. The claim, and 7 others relying on this, were dismissed. 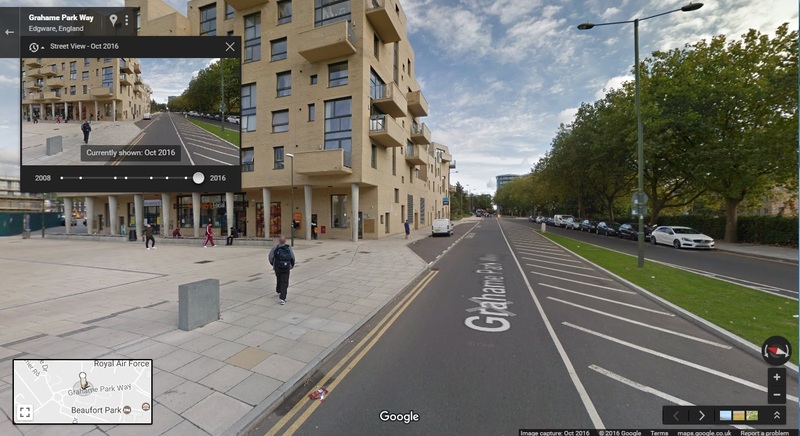 Of particular interest is Link Parking v Ms Parkinson C7GF50J7 , which concerns this building, Overstone Court. The judge examined the lease and found that the parking company could not override the tenant's right to park by requiring a permit to park. You obtained my personal details from the DVLA for the purpose of pursuing a parking charge, However, there was never any possibility this charge could be valid. Only I have the right to enforce parking regulations on my own space. My name and address information (together with other information) is classified as personal data within the meaning of s1(1) of the Data Protections Act (DPA). As there is no possibility that any monies were owed to you by myself, then attempting to charge a parking charge is caused harassment and personal distress to myself, is using it in ways which violate principles 1 and 2 of the DPA, and s13 of the DPA provides for financial compensation for this. The case of VCS v Phillip, claim number C9DP2D6C Liverpool 07/12/2016, while not binding, is persuasive that a DPA breach occurs when a parking charge is not legitimately pursued, and that a sum of at least £250 is compensation for pursuing a purported parking charge when there is no reasonable prospect of success. I am therefore claiming £250 from yourself for misuse of my personal data under s13 of the DPA. In addition, I paid the parking charge of [£100] and I therefore require immediate repayment of that amount. The total payable is [£350]. You have 14 days to remit this amount to myself. After that time I may file a claim without further correspondence. I believe I have provided you with all necessary information. I am willing to consider alternative dispute resolution and suggest the Consumer Ombudsman. Link Parking have a large number of residential sites. While you may be able to claim back any monies paid and for data protection breaches at these sites, each case will turn on the facts, which will need an examination of the lease. You can claim back for up to six years. However you should bear in mind that if there are too many valid claims, Link Parking may not have enough money to pay back all claimants.